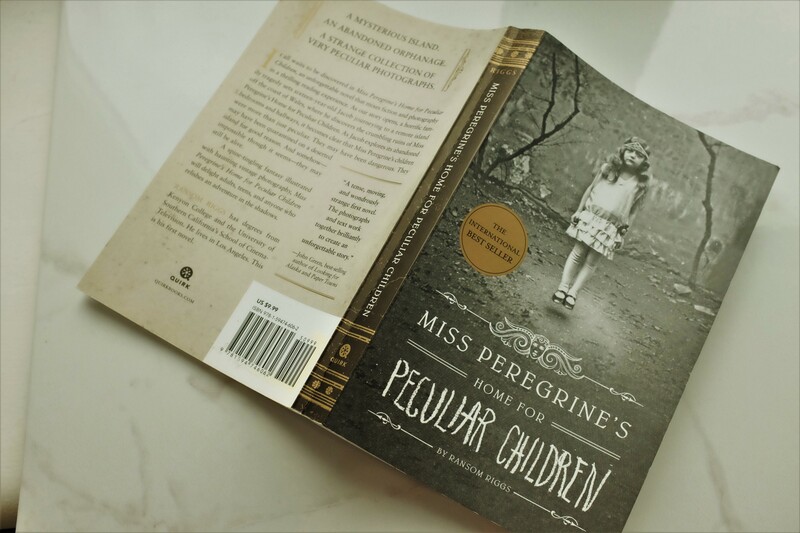 I hadn’t heard much about Miss Peregrine’s Home For Peculiar Children by Ransom Riggs until it got adapted into the visual form. When the adaptation happened it became a bit of a buzz, just like how To All The Boys I’ve Loved Before is all over the place right now, and I was interested in watching it but wanted to give a bit of the series a read. Eventually, I happened to stumble across a copy of the book in a local charity shop and knew that it was my chance to discover the much talked about fantastical world. There weren’t any copies of the other books in the series hanging around on the shelves though so if I want to read more I might have to bite the financial bullet and pray there are copies out there that match my edition. 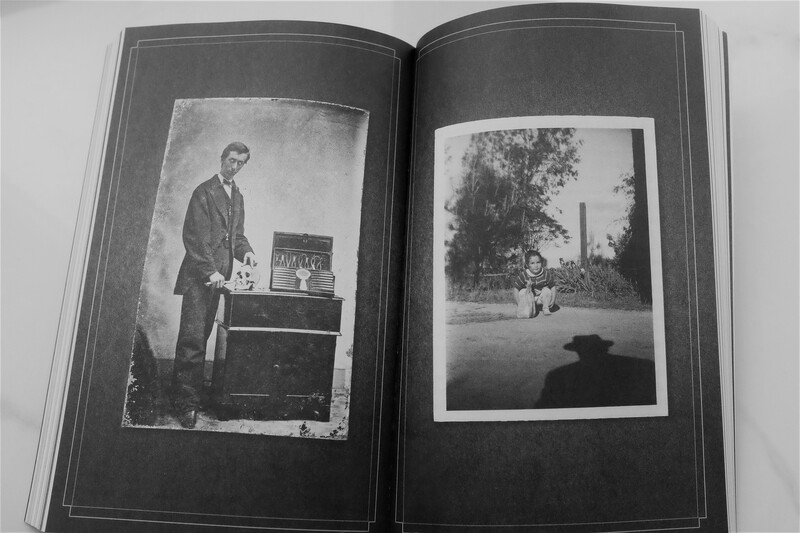 The book focuses around Jacob that spent his youth believing his Grandfather’s stories about growing up and this odd island with children that could fly and do all sorts of peculiar things but as Jacob grows he declares he no longer believes his Grandfather and that the photos of these people could easily have been manipulated. But when his Grandfather, who is seemingly losing his memory, calls in a distressed tone and Jacob turns up to see what the problem is he discovers a beast taking his Grandfather’s life. Words uttered by his Grandfather, his friends denial at seeing any such beast and with the encouragement of his therapist Jacob goes on a journey to Wales with his Father to discover more about this island his Grandfather spoke of and to take a look at the wildlife on display for his Father’s new book venture. Jacob’s discovery of the island and the therapist managing to persuade the parents to let the trip go ahead makes it seem like Jacob’s luck is changing but it is far from that simple. On managing to reach the island and the house that his Grandfather talked so much about it is just the beginning of a complex story and emotional rollercoaster for Jacob. It sees a shift in time, a change in people and mythical sounding concepts becoming very real and slowly Jacob comes to realise that these peculiar children aren’t so different from him after all. As the realisation hits Jacob realises the choices that he must make and the danger his has placed his new found friends in. It’s an absolutely fascinating story that I ploughed through in a few short reading sessions. The inclusion of vintage photographs that helped to inspire the words of the story makes it seem both more fantastical but also incredibly real. And the writing of the characters and construction of the plot really allows the readers mind to flow, open up and get stuck into the world as if they are walking alongside Jacob every step of the way. At a deeper level it feels like the plot is about a teenager, not very much liked in his home town or school and generally considered a bit of a recluse, that is desperately trying to find themselves, figure out who they are and have a group of friends that they fit in with. The people Jacob meets sound so peculiar and unusual, like many people would stop and stare at them, but to the right person they are completely normal and the perfect companions. Not only that but it highlights the great desire, and childishness in us all, to make up a fantasy and unique world in our heads where nobody else is able to get to it or corrupt it. It’s just our own little world with our own people and getting to have the debates and arguments in a more visible form than the usual good/bad figures on our shoulders allow us to. It is a story about being trapped between youth and adulthood, Jacob trying to find himself and discover that his journey through life must be his own choice and not what others want it to be. And I feel that it is largely this deeper concept that makes this book, along with its fantasy escape, such a popular, enjoyable and relatable read. I will be keeping a close look out for the next books in the series to find out what path Jacob’s life takes next and would highly recommend you picking this instalment up if the fantasy genre is your thing. This entry was posted in Books, Culture and tagged book, book adaptation, book blog, book blogger, book bloggers, book review, book series, Books, fairytale, fantasy, fiction, lblog, lblogger, lbloggers, life, Lifestyle, lifestyle blog, lifestyle blogger, lifestyle bloggers, mystery, read, reading. Bookmark the permalink.